Manage your promotional products, company apparel, and print collateral with ease. Why do I need a Brandstore? Maintain brand consistency, manage inventory, and consolidate your promotional product vendors with our secure, cost-effective company store solution. 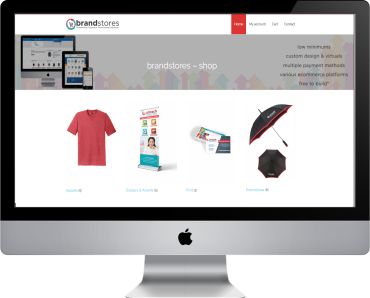 Ordering your promotional products and branded merchandise has never been simpler. Choose from a massive selection of name-brand apparel to sport your company logo. How Many Ways Can You Use a Brandstore? Increase employee engagement, maintain brand consistency, and more.